As I mentioned in my recent post on By Hand Lookbook No. 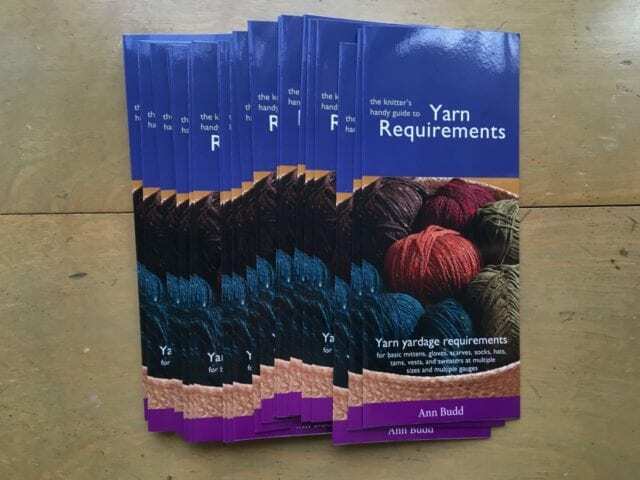 8, we recently restocked Ann Budd’s essential yardage estimator, the Knitter’s Handy Guide to Yarn Requirements. If you’ve ever walked into the shop, fallen in love with a skein of yarn and asked us, “Is this enough for a scarf?” then you’ve probably seen Anne and I consult one of these. 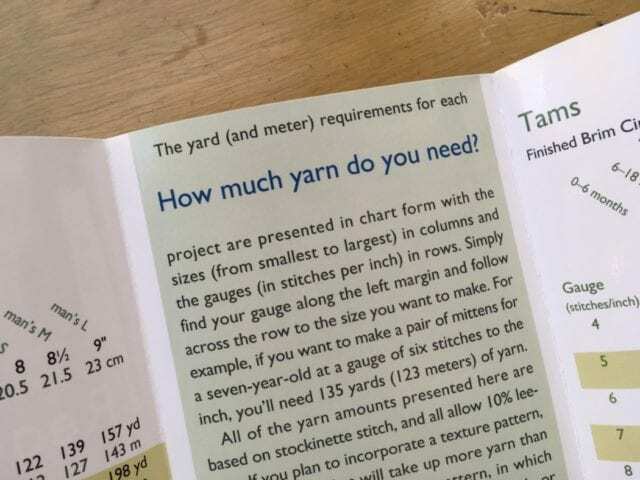 The Knitter’s Handy Guide to Yarn Requirements is a little pamphlet filled with charts that are filled with numbers, connecting gauge to yardage. Say you know how many stitches per inch your yarn will give you, and you know how big you want your scarf to be. This handy guide will tell you how many yards you need to do it. This makes it easier to estimate yardage in the event that you’re designing your own garment, or substituting yarn for a pattern. It can also be useful to help you get a sense of what you can do with a particular amount of yarn, for example, a lone skein that you fell in love with but made no plans for. Is it enough for a hat? A scarf? A vest? Pick up your handy guide and find out. 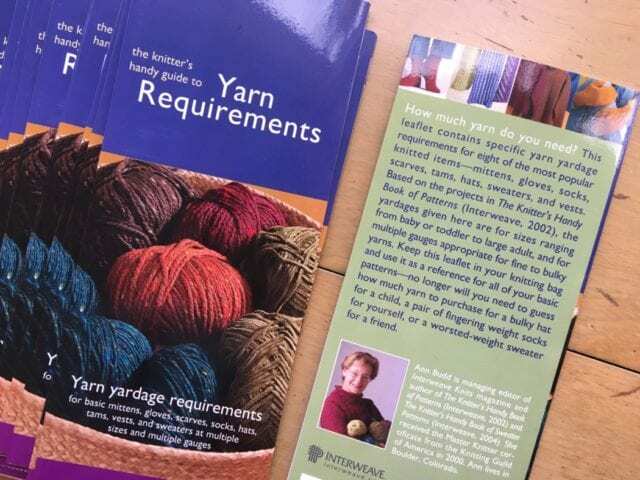 Look for the Knitter’s Handy Guide to Yarn Requirements on the teacart here at the shop!